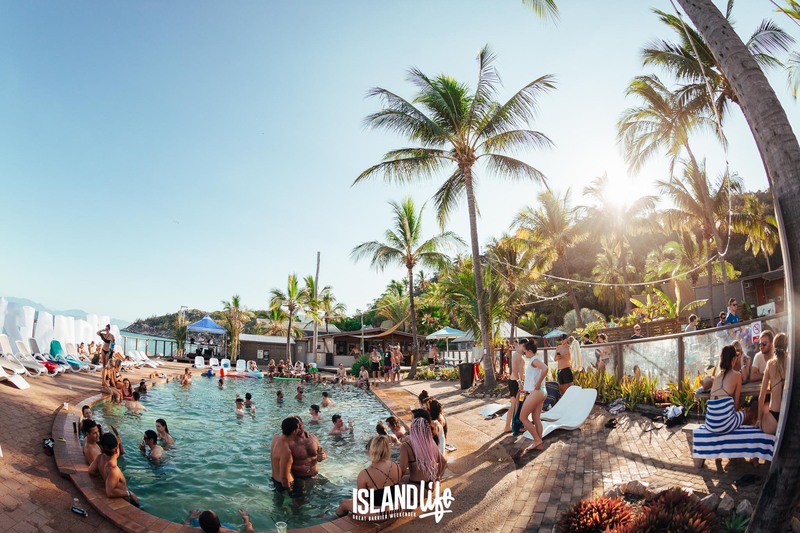 Take a 20 minute ferry ride from Townsville on Sealink and catch the connecting Picnic Bay bus from the ferry terminal to Base Backpackers doorstep. Return Ferry costs = $32.00. Please note bookings during Full Moon Party Fridays DO NOT include Ticket entry to Full moon. The private tent rates are based per person, YOU MUST BRING YOUR OWN TENT AS THERE IS NO ON SITE TENT HIRE. All guests staying during this Friday each month are required to purchase a Full moon ticket at extra cost to accommodation tickets start from $20.00 per person. There is a 2 night minimum stay over the Full Moon period.